UPDATE: this time with the proof sheets in correct order. Earlier I posted the proofs from my project on Norfolk (SoFoBoMo part 1). 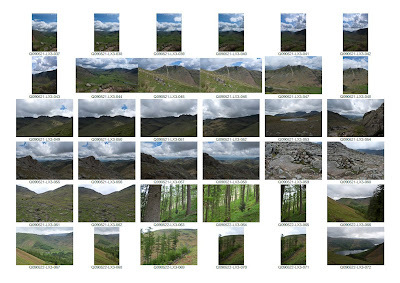 This time around it's from the second project from the Lake District (SoFoBoMo part 2). This set of proof sheets is from the shots I took with the LX3 - there will be more on how the camera worked out in a separate post. There will also be a number of black and white shots taken using my large format camera, although shot on roll film as 6x9s. 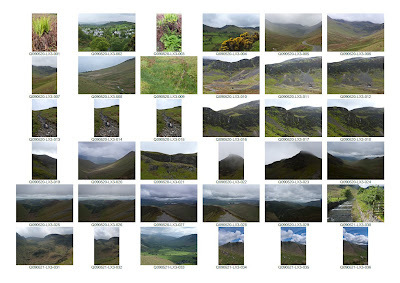 I had had the idea that I'd put a book together entirely shot as 6x9s during the course of last week. 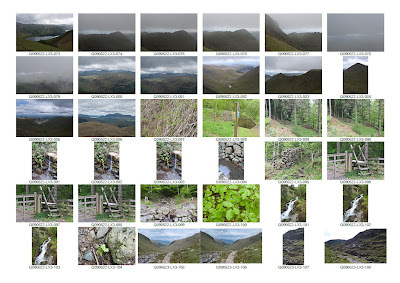 On the first day it became very clear that generating 7 images per day was going to be too much, especially as the walking was as much a part of the trip as the photography. Then I had the idea of mixing in images from my pocket camera. This is also going to give me an opportunity to experiment with some different aspects of presenting a book. 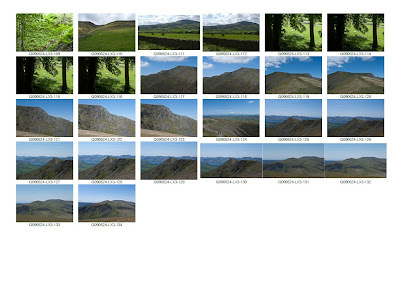 So I have about a dozen shots on film (yet to go in for processing) and 134 digital to choose from. Should be enough for 35 selections. Title for this project is not fully decided but I expect to use a similar source as for the Norfolk project.